As a digital content and search strategist within a healthcare advertising firm, I spend a lot of my time thinking about how the technical layer of the Internet — the infrastructure that makes it run — interacts with the front-end marketing layer of healthcare websites and ecosystems that clients, patients, physicians, and healthcare providers interact with. I am of the mind-set that for healthcare marketing firms to fully understand how their produced client efforts reach their designed targeted audiences, they need to understand how the infrastructure sitting below them works. Across the healthcare industry, this infrastructure — even though it has proven an amorphous term — sits within the general bucket of the cloud. So, what the hell is the cloud? Too often, the vast majority of online articles and blogs concerning the cloud talk about the technology through the guise of generalization as if saying “the cloud” multiple times explains everything about “the cloud” succinctly and clearly. Like an onion, the cloud has layers. Not just made up of catchy marketing terms and lingo that goes out of its way to remain obtuse, Cloud Computing is comprised of three major layers: SaaS, PaaS, and IaaS. 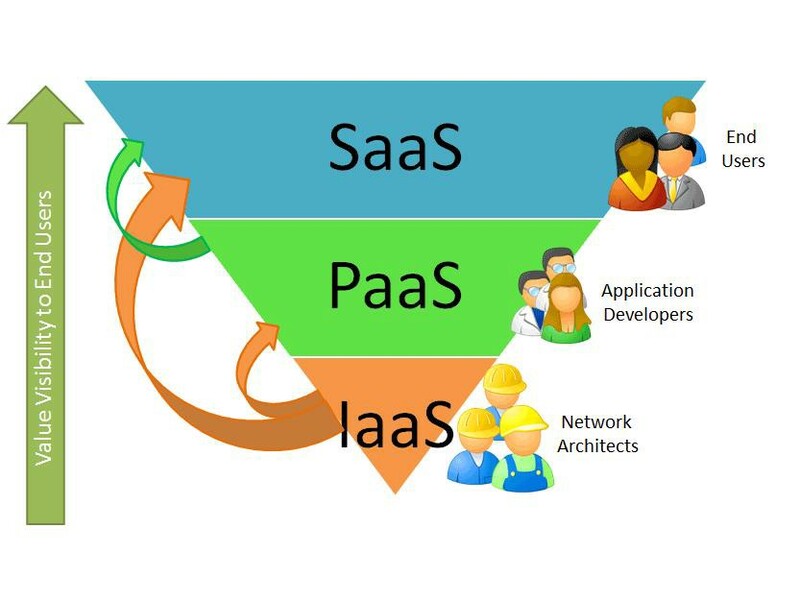 Of the three, IaaS is the foundation, while SaaS is the top layer functioning off both PaaS and IaaS. Interestingly enough, although SaaS is normally represented in graphics as the smallest layer of cloud infrastructure, it is anything but. In this installment of “How the Internet Works”, I will explain, from the foundation up, what the layers of the cloud accomplish, how each respective layer — IaaS, PaaS, SaaS — operates/feeds into one another, and how each layer relates to healthcare marketing. IaaS, or Infrastructure as a Service, refers to the hardware, network equipment, and web-hosting servers that web-hosting companies rent out to consumers. The IaaS layer of Cloud Computing comprises all the hardware needed to make Cloud Computing possible. Used day-in and day-out by network architects (sometimes called NOCs) and web-hosting professionals, the IaaS layer is the physical foundation of Cloud Computing, which can be and is leased out to users to run their own cloud-based services. The IaaS layer of Cloud Computing is physical hardware. Regardless of what anyone tells you, the cloud is based on physical-computing hardware (servers, nodes, PDUs, blades, hypervisors, cooling gear, etc) stored in a data center (also called a DC) operated by network architects, network engineers, and web-hosting professionals/companies. That hardware is what makes it possible for packets of data to travel across the world allowing an end user to play Angry Birds on their smartphone or access this website. How IaaS Relates to Healthcare Marketing: The IaaS layer of the cloud relates to all digital healthcare marketing by informing agencies and providers/manufacturers what a branded or unbranded website needs, in terms of raw compute power, to operate under projected traffic load given the amount and type of content placed on that site. By understanding this basic calculation, when building a central website as the cornerstone of a healthcare engagement ecosystem, you will be able to determine what type of infrastructure your client needs (cloud, VPS, colocation, shared, etc). The Big Take Away: The cloud is physical, and without understanding the compute power that composes the IaaS layer, both PaaS and SaaS, as well as basic client-facing healthcare marketing services, would not be possible. PaaS, or Platform as a Service, refers to the middle layer of the cloud used for development by web developers, programmers, and coders. The PaaS layer is used by developers and programmers to create applications, programs, software, and web tools. PaaS works by developers renting raw hardware from an IaaS provider, which can then be used as the platform to build software, applications, programs, and web tools. In most cases, developers will purchase the PaaS layer of the cloud from infrastructure providers like Rackspace, Amazon EC2, Linode, and DigitalOcean. The purchased infrastructure will come with pre-installed developer tools like Apache, MySQL, Ruby, LAMP Stack, Dokku, or GitLab, etc. Getting a bit more granular with PaaS, the majority of providers sell PaaS-level servers to consumers on a per-resource allocation. Whereas you might purchase a car with 255 horsepower, leather seats, and heated rearview mirrors, developers will purchase a cloud server with a specific allotment of RAM, Disk Space, CPU Cores, and Bandwidth. A typical cloud server might look like 4GB of RAM, 60GB of Disk Space, 4 CPU Cores, and 8TB of Bandwidth. How PaaS Relates to Healthcare Marketing: The PaaS layer of the cloud is used for building a branded or unbranded mobile application to reach a targeted patient population. Within every digital healthcare project I have worked on, the client, in some form or another, asks for a branded or unbranded app to reach their targeted audience. Sometimes this is a good idea and sometimes it isn’t. Either way, to build that informational healthcare app, healthcare marketing agencies need to invest in the PaaS layer of the cloud for the tools required to accomplish the job. Without platforms like AWS Elastic Beanstalk, Windows Azure, Heroku, and Google App Engine (just to name a few), consumer-facing apps that your brand is so keen on building will never be built. The Big Take Away: The PaaS layer of the cloud is based on the IaaS layer of the Cloud and is used to build the highest layer of the cloud — SaaS applications. Without the ability to leverage the PaaS layer and have a full understanding of how the middle layer leans on the bottom layer and supports the top layer, healthcare marketing and advertising firms will never get ahead in the expanding digital ecosystem. SaaS, or Software as a Service, is the top-most layer of the cloud. 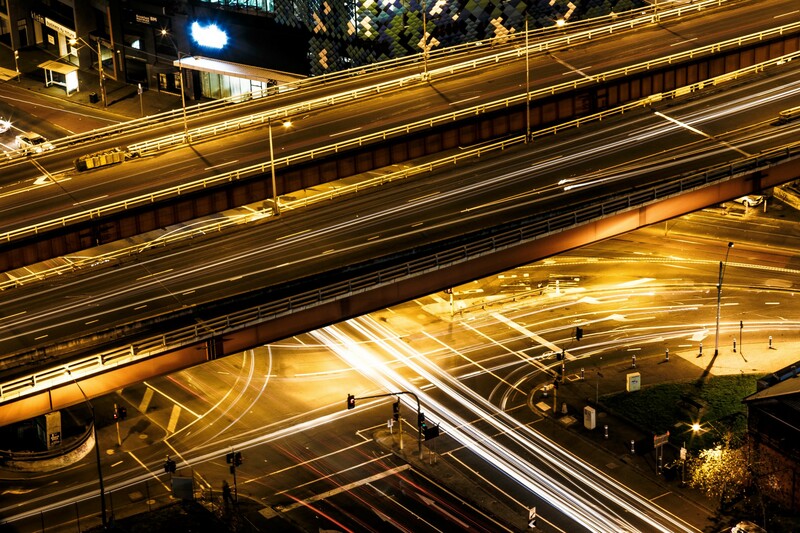 SaaS serves as the layer that the vast majority of consumers utilize. Built on top of both IaaS and PaaS, SaaS provides applications, programs, software, and web tools to the pubic for free or for a price. 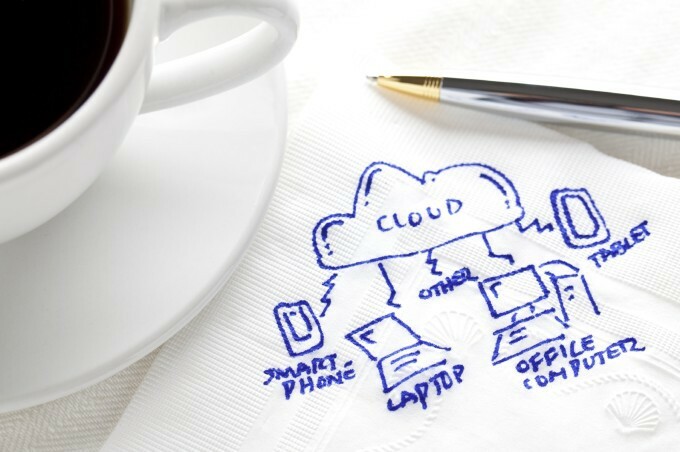 Accessible via a computer, tablet, or smartphone, the SaaS layer of the cloud encompasses the largest and most accessible layer of Cloud Computing. The basic premise of SaaS is user-friendly software that is accessed via a computing device of choice and can be stored in a web server located in a data center halfway around the world. Every time you use the Google Play Store, the App Store, Dropbox, Salesforce, Adobe Creative Cloud, Spotify, or any other cloud-based software, you are accessing the SaaS layer of the cloud. How SaaS Relates to Healthcare Marketing: Not only is the SaaS layer of the cloud deployed by healthcare marketing/advertising agencies in the form of mobile apps, it is the layer most used by those agencies to allow them to complete their day-to-day jobs of meeting client deadlines and producing workable results (strategy, creative, copy, account, and project management). The Big Take Away: The SaaS layer of the cloud is based on both the IaaS and PaaS layers and is used to provide applications to the market at a lower cost and lower local hardware resource need. SaaS is scalable, more affordable, and easier to maintain than traditional software bundles. For healthcare companies, marketing/advertising agencies, patients, and physicians, the ability for a single layer of compute infrastructure to provide more affordable, more secure platforms of access is a win-win. In the end, it should be evident that unless your healthcare advertising agency has a firm grip on the technological infrastructure that your strategies, tactics, and executions are built on, your entire ecosystem stands a good chance to fail under its own underdeveloped weight. Now that you have a basic understanding of how Internet infrastructure directly impacts healthcare ecosystems, check out “Healthcare is the Wild West of Technological Innovation”, “Innovation Beyond Best Practices: The What, Who, How and Where of It” by pro bose or "Get Your Move On” by Stephanie Berman. Brad Yale can be reached for comment at byale@thebloc.com. He is a tech nerd who enjoys ripping sites apart to understand how and why their compute bones support or fail to deliver user expectations.